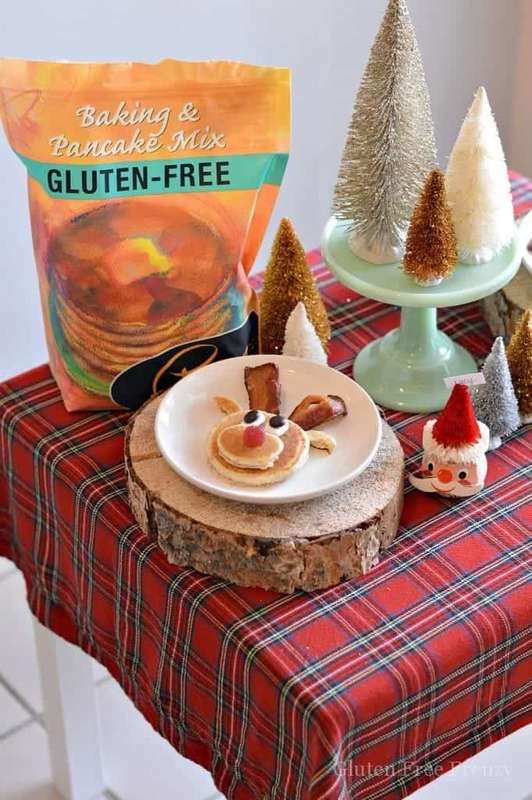 Surprise your little ones with a gluten-free mini reindeer pancake party. It is easy to put together and so delicious. 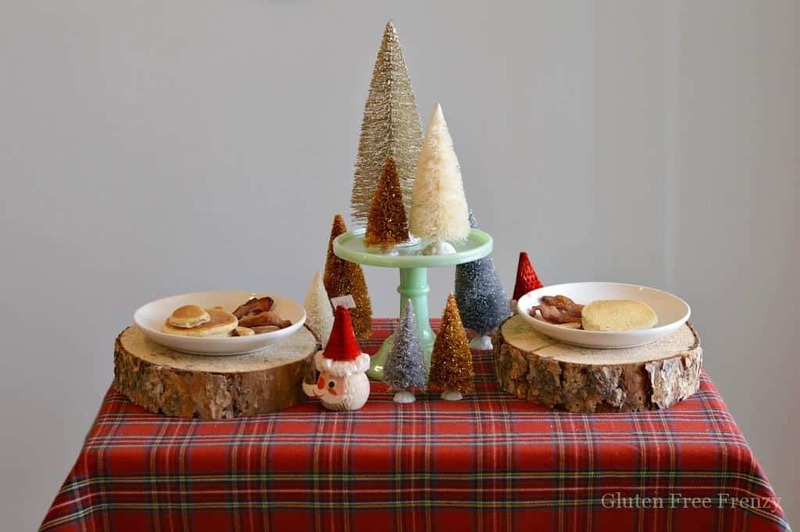 This gluten-free mini reindeer pancake party is both whimsical and tasty. 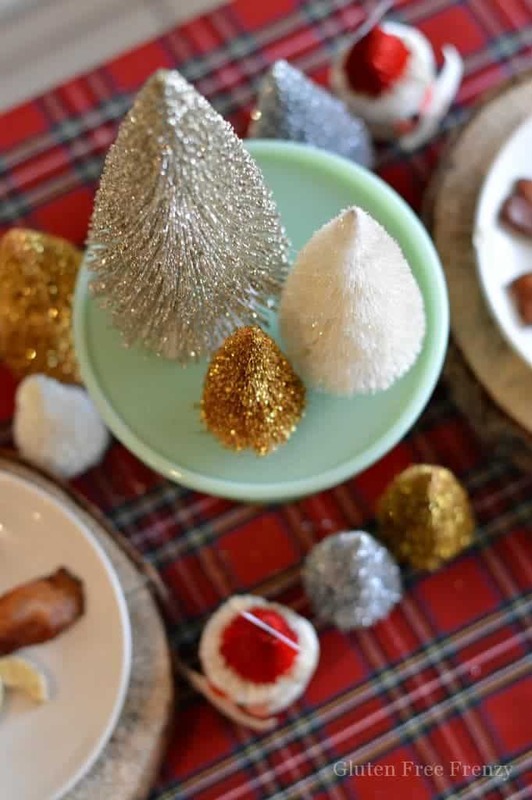 Kids will love how tiny and delicious everything is at this holiday breakfast. The holidays are such a fun time but they can fly right past us if we aren’t careful. 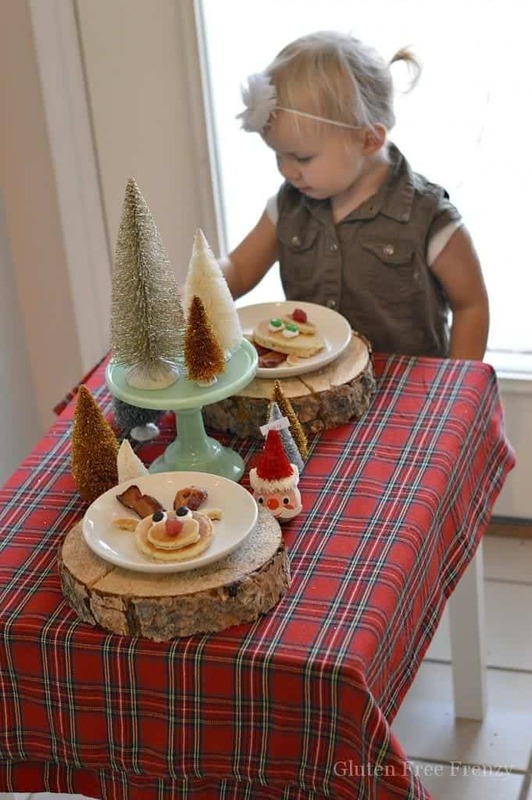 I put together this mini reindeer pancake party for my two youngest to enjoy on a cold December morning. 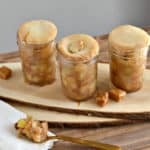 It can easily be recreated in your own home. I have been very busy this holiday season already, but have been consciously making an effort to include my kids in what I do. 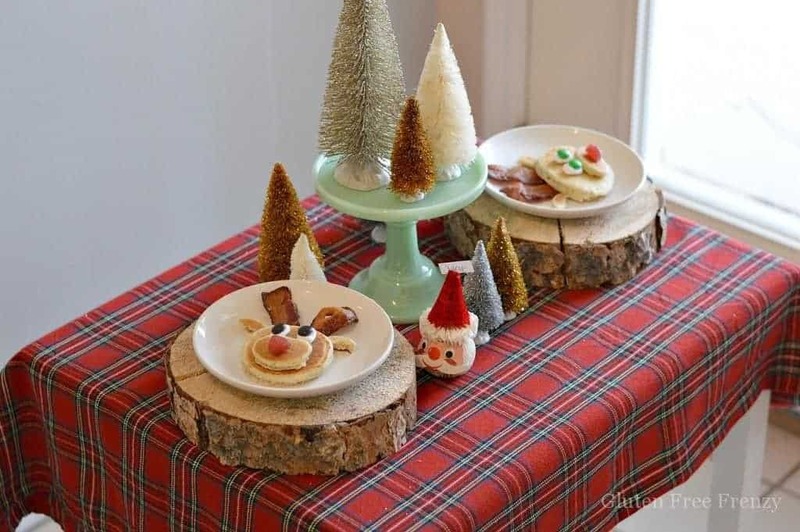 Whether in the kitchen making treats or styling a mini table like this, I want to be more present while also doing my “job”. As a stay at home mom and lifestyle blogger, I truly feel like I am living my dream. I get to cook and party for a living! I am sure there are those of you like me though that find working at home a challenge at times. 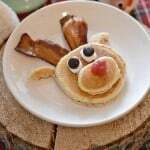 Surprising the little ones with fun things like this mini reindeer pancakes will remind them that you are thinking of them. 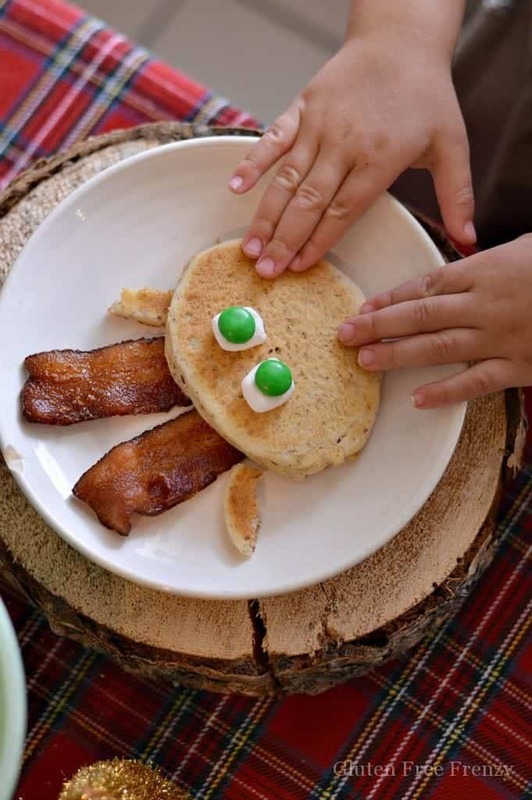 I will say, my kids felt super special when presented with this whimsical breakfast. My son even said, “Aw mom, they are so cute!” They also laughed and giggled that they got M&M’s with breakfast (the reindeer’s eyes). 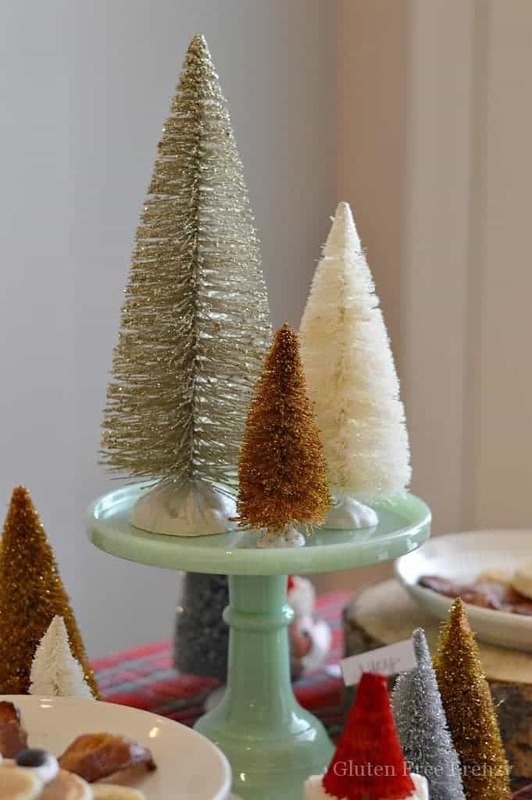 Using little bottle brush Christmas trees in a variety of sizes and colors along with rustic wood chargers really adds to this table set up. 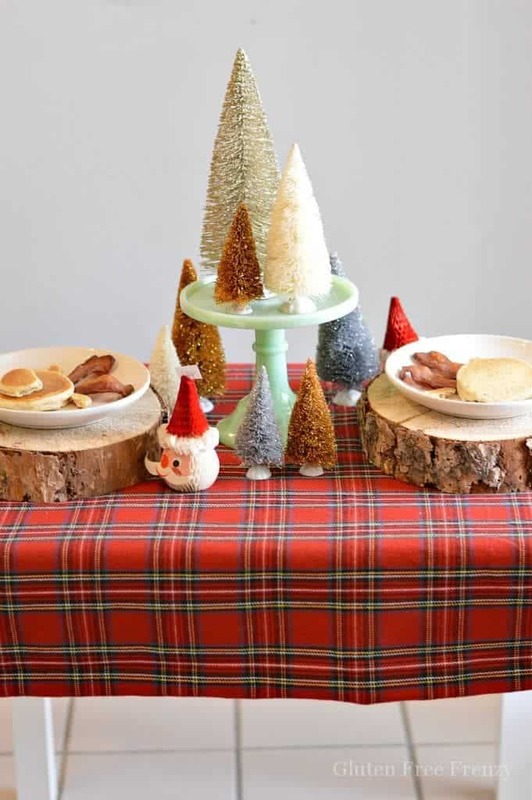 Add some height with a tiny jadeite cake stand and color with a bold plaid tablecloth. While any recipe will work for these little reindeer pancakes, our semi-homemade marshmallow and peppermint griddle cakes are full of delicious holiday flavors. 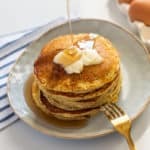 Be sure to get our full, from scratch, fluffy buttermilk pancake recipe in our book, Gluten-Free on a Budget, along with 100 other gluten-free recipes. 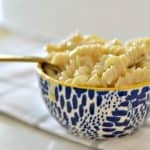 All are delicious, relatable and pretty simple to make. Almost all the recipes also have a photo which is a must for me when choosing a cookbook. 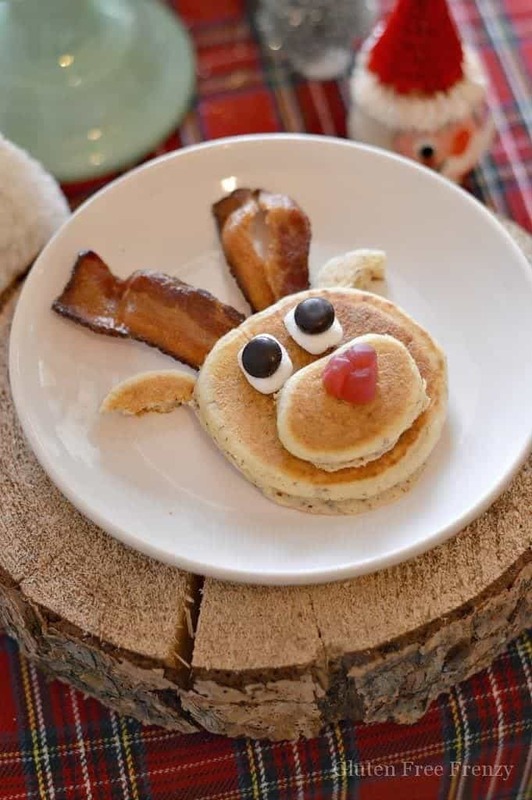 Kids will delight when this reindeer is staring up from their plate! Assemble by placing the big pancake down first then top with one mini pancake. 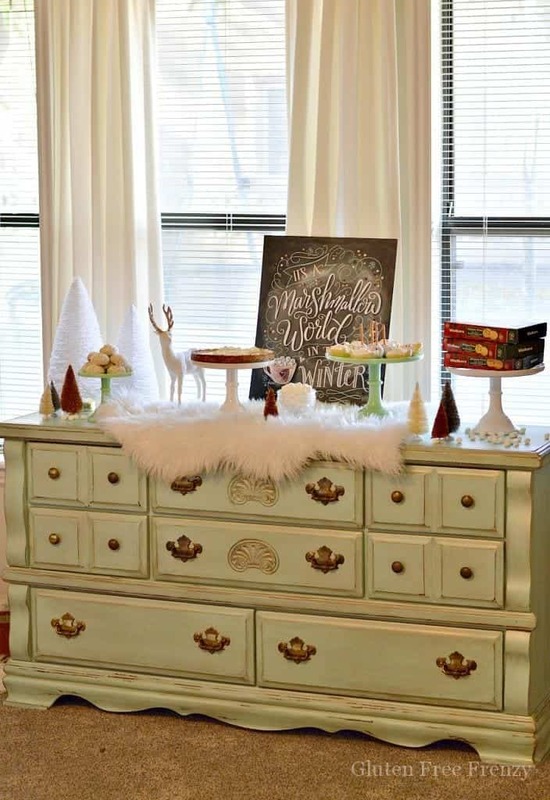 We absolutely LOVE Pamela’s Products! 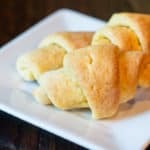 They are the first products we used after I was diagnosed with celiac disease and they are still some of our very favorite. The flavor is so delicious. 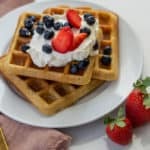 I have actually had people ask me what makes our pancakes so delicious when I use this Pamela’s Baking and Pancake Mix. You can make them straight out of the bag as is or you can jazz them up like we did in our reindeer pancake recipe above. 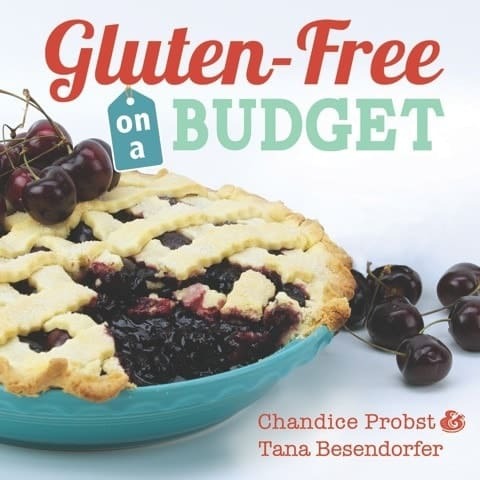 Be sure to check out the other amazing gluten-free eats from Pamela’s Products. 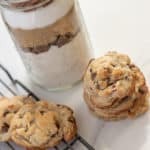 Whether it be sweet cakes and cookie mixes or boxed figgies, they rock it out of the park with everything they create. 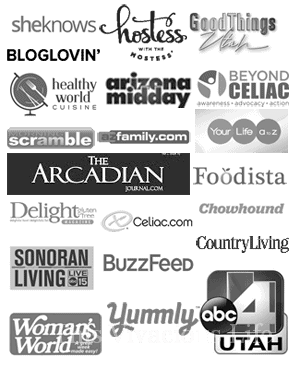 Learn more about Pamela’s Products HERE and be sure to enter their ENTIRE LINE of products below! 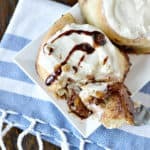 *Thank you to Pamela’s Products for sponsoring this post. I have received monetary compensation and/or products for this feature. I only work with brands I and my family actually enjoy. 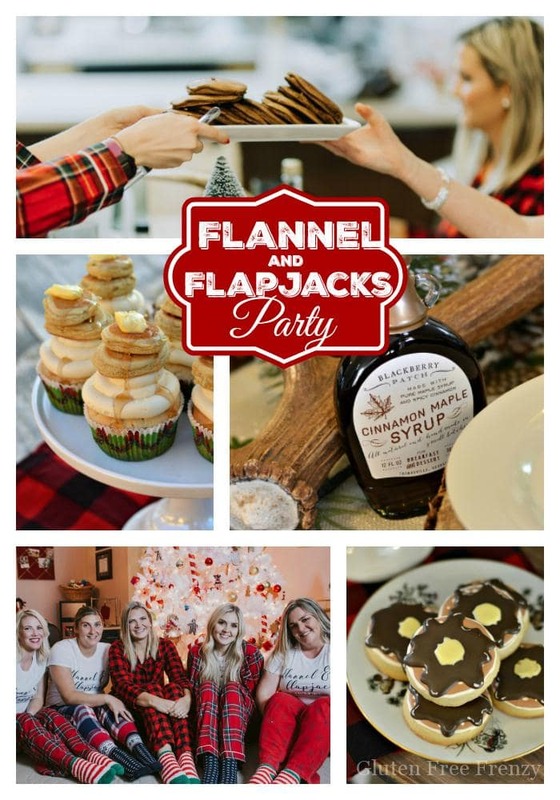 We love their products and have for years. All opinions are completely my own. These are the cutest thing I have seen all day! Love this idea. 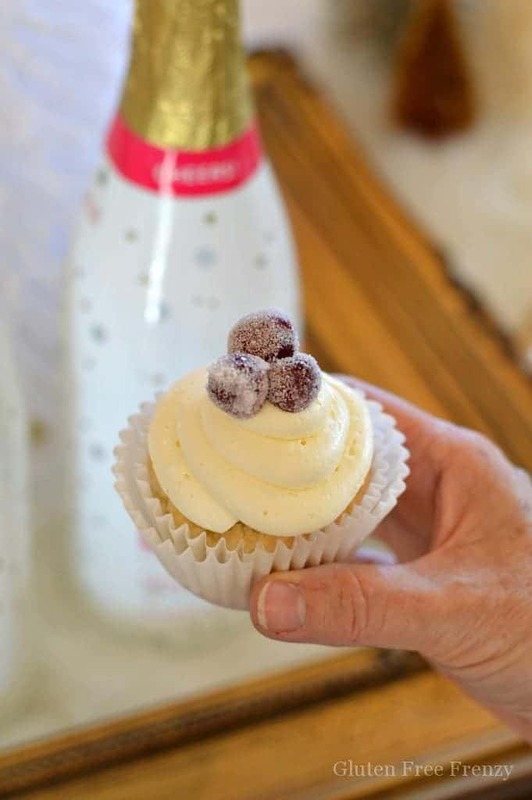 Thanks for sharing all the adorable photos and the recipe of how you made them! YES!! I just saw that I won this! I hadn’t seen an email to the one I signed up with, but I will look through all accounts to see if you have sent emails yet. THANK YOU SO MUCH! Oh I love making cookies and fudge! We love eggs benedict in our house! Cookies. Mainly gingerbread and frosted sugar cookies. Peanut Butter Thumbprint cookies, hard tack candy & quiche. 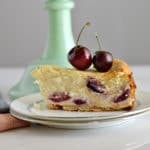 We love to bake pies and different types of muffins. 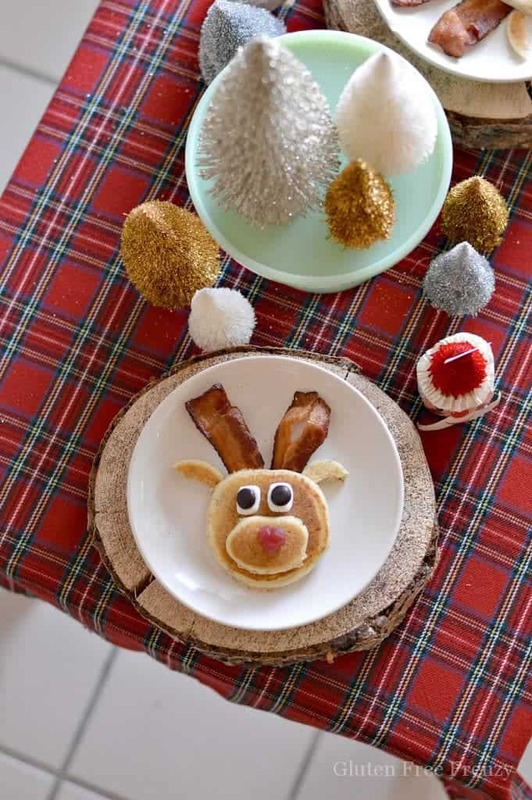 Love the reindeer pancake idea. I want mine to have a strawberry nose though. 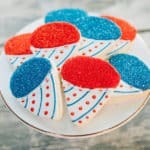 Kids would have a great time decorating Pamelas cookies in a similar fashion. I am not much of a baker. I did make a gluten free pumpkin pie last month though. I love to bake cookies, all kinds of cookies!